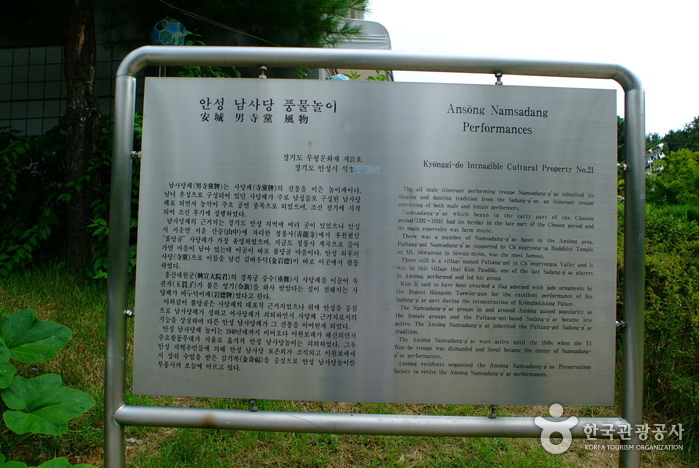 Namsadang refers to performance troupes which started during the late Joseon period (1392-1910). 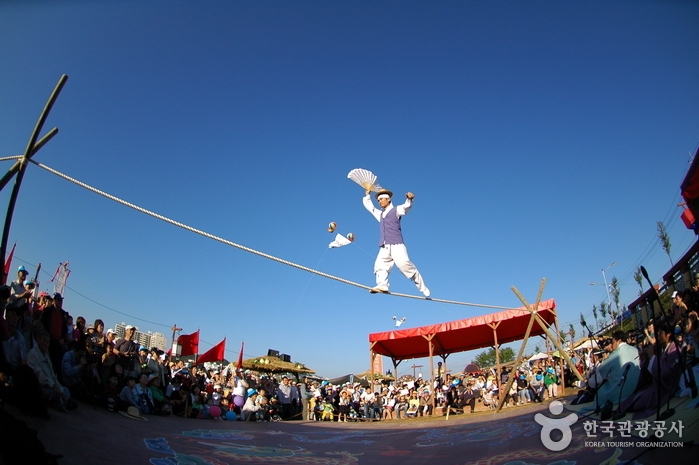 At the time, Namsadang troupes traveled throughout villages, entertaining the people with traditional performances such as pungmulnori, tightrope walking, and more. 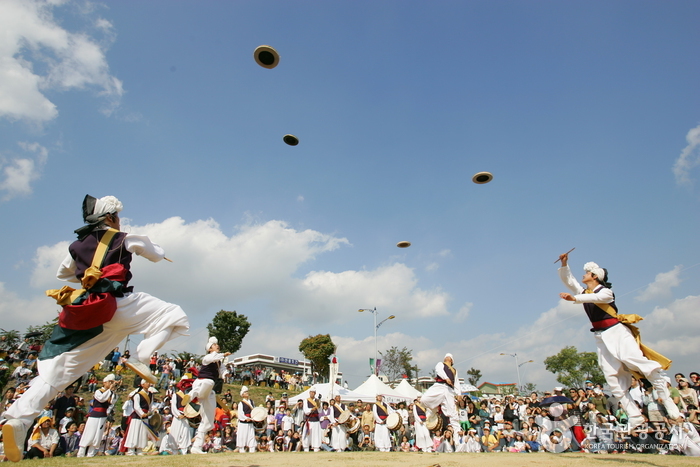 Regular Namsadang performances in Anseong first began to commemorate Anseong Namsadang, known to be the best of all Namsadang troupes, and the troupe's leader, Baudeogi. 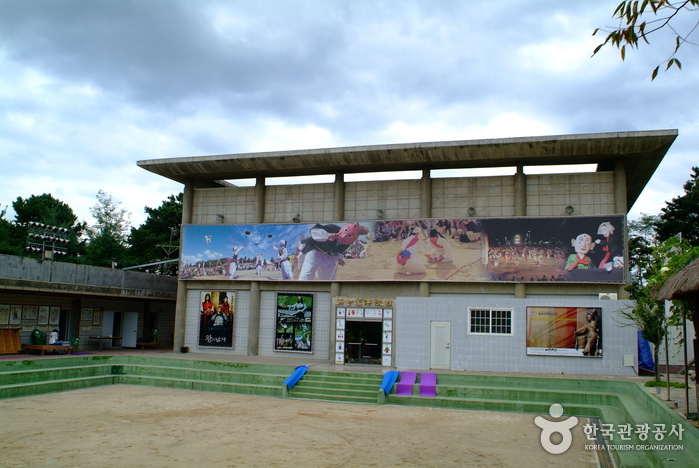 Regular performances combine the troupe's six main stages (pungmulnori, jultagi, salpan, beona, deolmi, and deotboegi) with a storyline based on modern times. 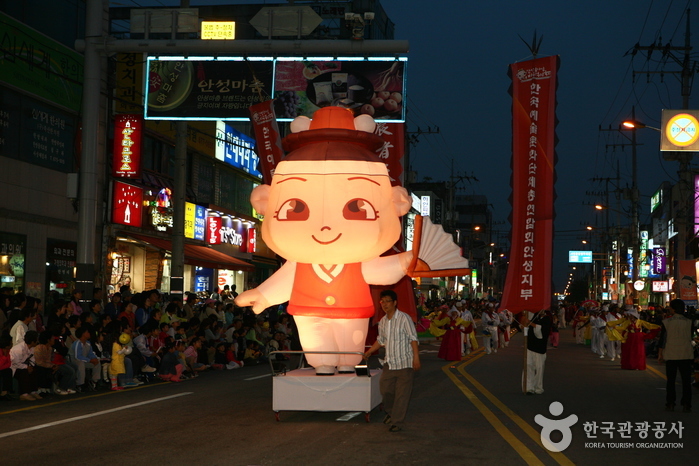 Plot is based on the life of Baudeogi, the first female to become the leader of Namsadang troupe. Exciting performance using percussion instruments and body movements. 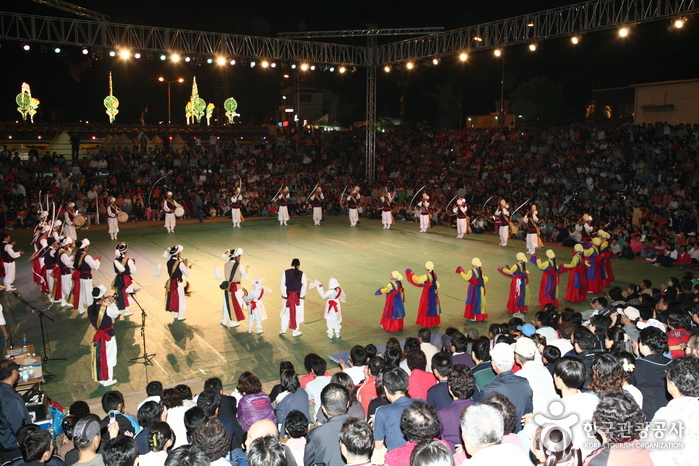 Plate juggling and spinning using long sticks or poles. Clown and salpansoe (tumbler) performs various acrobatics while exchanging jokes. 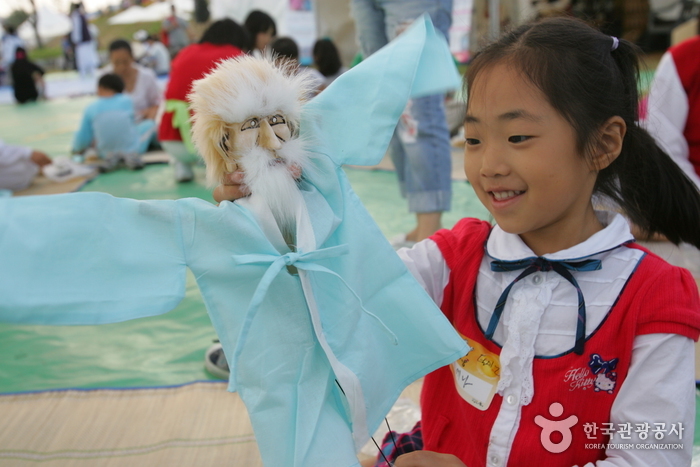 A form of mask dance derived from the name deotboegi, which can be translated into "see with a mask on."